The justification for investing in dry van trailer tracking systems, and the criteria used to determine ROI, will naturally vary from company to company. Technology investment decisions can be based on cargo security, theft prevention, regulatory compliance (i.e ELD, FSMA) and driver safety/retention considerations. But invariably, fleet utilization and operational efficiency are cited among the most quantifiable ROI drivers for the adoption of trailer tracking technology. The right trailer telematics platform will quickly pay for itself and boost profitability by optimizing utilization, automating manual processes and informing decisions around capital expenditures. 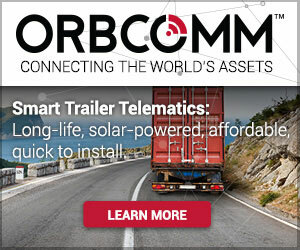 A connected trailer solution gives operators live visibility into the location and status of their entire asset base, reducing ‘accidental’ idle time by eliminating unaccounted-for equipment, which can constitute a significant percentage of the fleet. Automatic alerts also provide instant notification when a trailer has been unloaded, allowing dispatchers to quickly allocate the empty unit for the next job. Data generated by the system additionally supports business process improvements. For instance, operators can use historical data to drill down into dwell times across their customer base and in different load/unload scenarios (production facilities, DCs, warehouses, transload, crossdock etc). Poor performing areas can be identified and remedial actions identified to mutual benefit, based on hard data rather than guesswork or opinion. The US Federal Motor Carrier Safety Administration (FMCSA) reports that detention costs the US trucking industry more than $3 billion a year in lost time and productivity. Detention times have also been shown to negatively affect driver retention. Self-reporting trailers allow carriers to monitor for how long customers are detaining equipment, tracking objectively when equipment enters and exits a facility. Operators gain true asset visibility and a hard data trail to bill customers who exceed grace periods, which helps recoup some of the lost revenue. More importantly, when charged accurately and fully for extra time, customers are more likely to follow better practices going forward and load, unload and release trailers in a more timely way. Trailer yards are in constant flux, making it tough to stay on top of actual versus anticipated inventory. Manual checks are labor intensive, expensive, subject to human error and quickly out of date — sometimes within the space of just an hour or two. Inaccurate reports impair dispatch efficiency and may lead to drivers being sent to the wrong location or assigned to a trailer that’s no longer available. Automating inventory checks can result in a 20 to 30 per cent reduction in idle yard truck hours and provide a significant boost to fleet utilization and driver productivity. 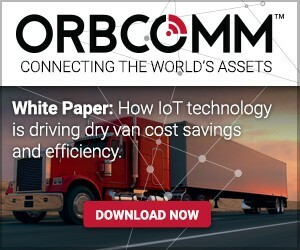 IoT telematics devices continuously report location and status data from trailers across multiple locations, with date and time stamped information available 24/7 through a central back-end application and/or dispatch system. With real-time reports, dispatch can quickly locate and allocate trailers, while drivers no longer need to spend unproductive time hunting down equipment. As a capital-intensive business, road transport operators must use their whole asset base to its optimum capacity. If a trailer pool is too large, there is a greater chance of equipment idling in yards instead of generating revenue. On the other hand, an undersized customer pool may jeopardize revenue as carriers are unable to efficiently meet demand. A telematics solution can help operators analyze data on trailer performance and utilization at each customer site. Based on this information, carriers can allocate their fleet more efficiently and transfer unused trailers to clients and locations with higher demand and volumes, driving increased revenues and customer satisfaction. Analysis of usage and inactivity over time also helps operators define the optimal fleet size and informs management decision-making on controlling capital expenditures without compromising capacity. Tracking and recording of actual performance additionally lays the groundwork for building incentives into negotiated fee structures (tariffs) to encourage more profitable trailer utilization. Fleet utilization is just the tip of the iceberg when it comes to trailer tracking benefits. To discover the other ways to measure the ROI of a trailer management solution, download our white paper or schedule a demo with us.